This week’s guest is Sam Garrett, a translator from Dutch to English. I asked Sam to take part in the interview series after reading two novels he translated. I’ll write about Tirza, one of those novels, next week. How did you learn your source language? I learned Dutch, in fact, as an antidote to boredom. During a long trip to Central America in the late 1970s, while I was lying sick in bed, my Dutch girlfriend began teaching me how to pronounce the language’s peculiar vowel diphthongs. Later, after we moved to Amsterdam, I started reading children’s books to wile away the time as I waited for my residence permit. Then – I suppose you could say – I moved on to bigger things. How did you come to translation in general, and literary translation in particular? Some of my colleagues actually have a university degree in translation studies. But I started out as a wire-service journalist: I learned the mechanics of writing prose before I learned to read or speak a second language. At first, translation in general was a useful way to make a living in an otherwise tight job market. The desire to translate literature, however, arose simply because I wanted to share with friends and family ‘back home’ some of the absolutely unique prose I encountered in the Netherlands. What does your day look like while you’re translating a novel? I start around 10 in the morning, knock off around 5 in the afternoon. Six days a week, if I’m in the midst of a big project. With lots of breaks in between, though, to read magazines or just get up and walk around: I have a very short attention span, about forty-five minutes, I believe. What are your favourite contemporary books in the source language? 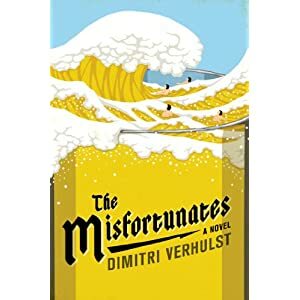 Flemish writer Dimitri Verhulst’s The Misfortunates and his Madame Verona comes down the hill are both wonderful. Tommy Wieringa is a fantastic Dutch writer (my translation of his Caesarion has just been shortlisted for the IMPAC Prize): his novel Joe Speedboat has so much flair and empathy, it deserves to have many more readers than it’s had till now. 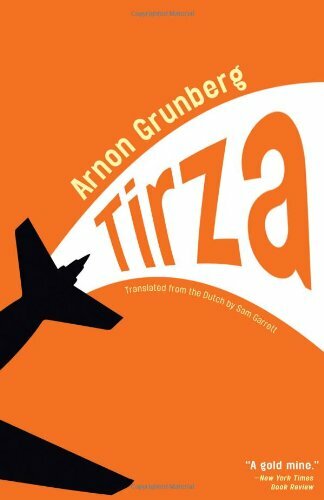 And give me almost anything by Arnon Grunberg, any day of the week: his novel Tirza is startling, a bleak mind-bender. And The Story of My Baldness, which he wrote under the pen name Marek van der Jagt, is a wonderfully weird Bildungsroman with a serious twist – set in Vienna, appropriately enough. What have you read recently in English that you loved? James Wood’s How Fiction Works, Denis Johnson’s Tree of Smoke, Kevin Powers’ The Yellow Birds. What novel have you translated most recently? I just finished a huge non-fiction project, actually: Congo, a history by the Flemish writer David Van Reybrouck. A marvelously ambitious stork’s-eye view of the history of a huge country we’ve all heard of but about which most of us know little or nothing at all. My most recent novel was The Dinner by Herman Koch. What were its particular interests and challenges? The voice and character of The Dinner’s narrator, Paul Lohman, was a joy and a challenge to capture. I myself have a fairly bare-bones style when it comes to prose, I believe, but Herman Koch actually goes me one better on that. I had to rein myself in, render and reduce. Which is your favourite novel of the ones you’ve translated, and why? What a terrible question! How could I pick just one? I’ve loved a few. Do you expect me to kiss and tell? Do you write (fiction or non-fiction)? Both. I’ve had things, stories and essays, published here and there. That would have to be “razzmatazz”. In the words of Duke Ellington: it don’t mean a thing if it ain’t got that swing. That applies as much to letters as it does to love. You are currently reading The Three Rs in Translation: Sam Garrett at Slightly Bookist.